As July turns to August, temperatures reach annual highs. While we all love to savor the outdoors come summer, it’s important to take care in the extreme heat, especially for Cincinnati seniors, who are more prone to heat-related illness. Keeping indoors is a winning strategy to stay safe and comfortable, and there’s no reason it can’t be fun, too. Below, we’ve listed a few fun summer activities you can do indoors with Grandma and Grandpa. Summer movie releases are full of comedies and light animated films. These present a perfect diversion for all members of the family. If you’re on a budget, you can make watching a movie at home feel extra special by popping popcorn and asking kids to hand-draw movie tickets. Whether your Cincinnati senior parent is interested in studying Impressionist painters in an art history course, or creating his or her own painting in an art class, continuing education can be an incredibly enriching experience to share together. Check out the options at your local community center or university for ideas. Plan a game day at home by gathering a deck of cards and all your board games (if you’re low on options, you can buy some on the cheap at a thrift store). Set up a poster board or chalkboard to keep track of wins and losses and award a prize to the day’s champion. The local mall offers an air conditioned haven where you can shop, stroll, and people-watch. If you’re not looking to spend money, simply window-shopping can provide a pleasant way to pass an afternoon. Some malls may even have indoor mini golf courses and other activities fit for all ages. Studies show crafting triggers a meditative state that can promote relaxation, counteract depression, and improve cognitive functioning—all great benefits no matter what your age. Knitting, watercolors, and modeling with clay are just a few ideas to get you started; try searching Pinterest for even more. Museums usually offer reduced rates for Cincinnati seniors and kids, so they make a budget-friendly outing for the entire family. They can also demand a lot of time on your feet, so be sure to plan for breaks. This will give everyone the energy they need to get lost in an art collection or historical exhibit. The cool quiet of a library can provide a peaceful respite from summer’s heat. 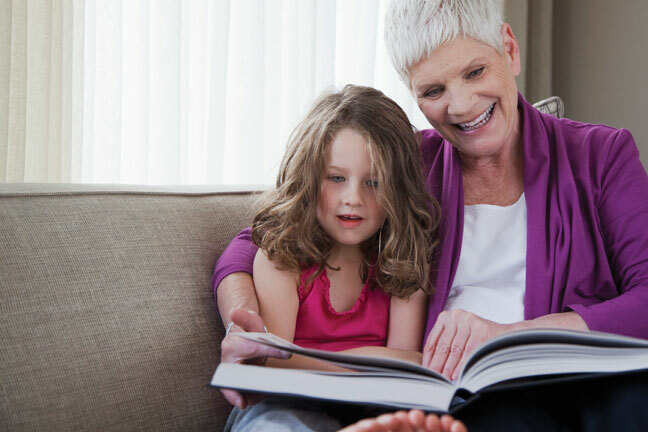 Make a list of the books you and your parent have been eying—whether classics or new releases—and head to the library to check them out and read together in one of the seating areas. While you’re there, look for upcoming readings and community activities.